James Casebere explores Luis Barragán’s modernism in "Emotional Architecture" - Archpaper.com James Casebere explores Luis Barragán’s modernism in "Emotional Architecture"
American artist James Casebere is showcasing Emotional Architecture, a collection of photographs named after and inspired by the sun-bleached and platonic forms of Mexican architect Luis Barragán’s most famous works, at Sean Kelly Gallery in New York City. The exhibition consists of constructed photography, a technique Casebere developed in the 1970s that involves constructing desk-sized architectural mock-ups and photographing those models as facsimiles of full-scale interior spaces. Casebere lights his models to highlight the spatial and emotional qualities of blank, unfurnished interiors. 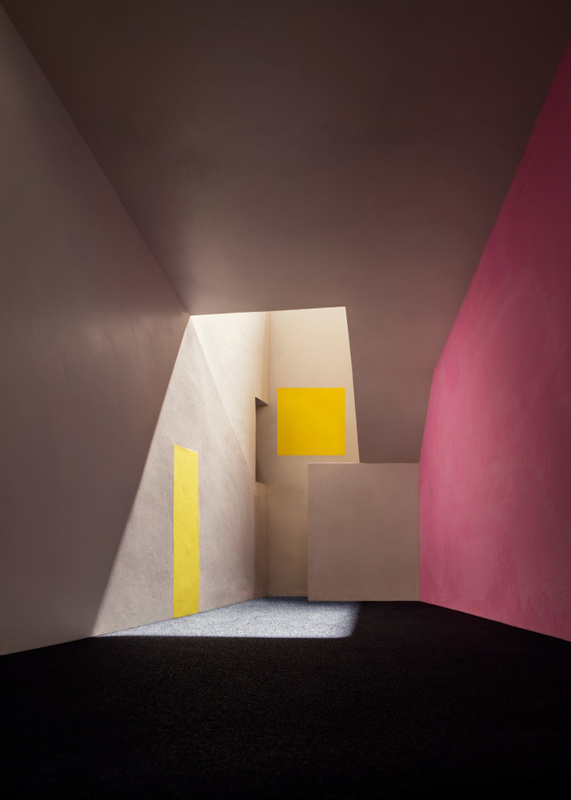 For the exhibition at Sean Kelly, Casebere has mined the work of Barragán and artist Mathias Goéritz, who together appropriated color, light, and space through their own brand of modernist architecture to generate works of nuanced emotional character that stood in contrast to the era’s rigid formalism. In turn, Casebere’s constructed photography dwells on the evocative nature of these spaces. In the past, the artist has rendered works that explore the social implications of architecture—like prison cells and suburban bedrooms—and ply banal, extant spaces to thought-provoking effect. 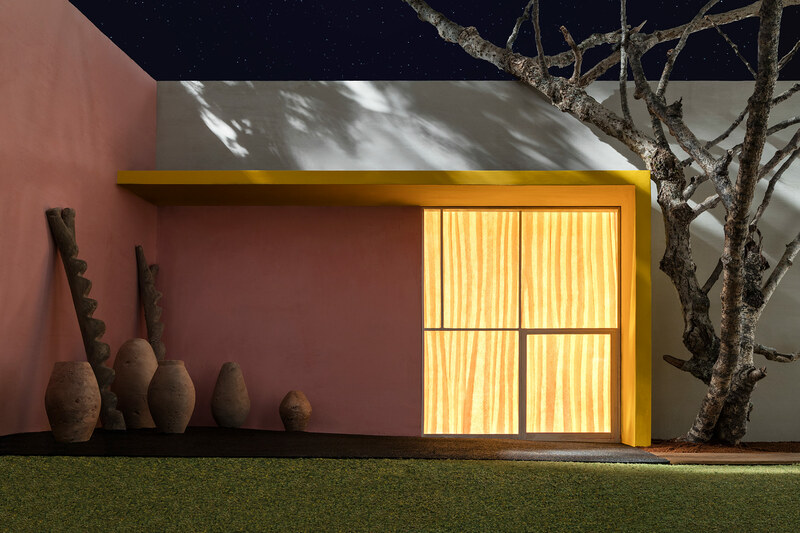 In Emotional Architecture, Casebere investigates, among other works, a yellow corridor from Barragán’s Casa Gilardi. The Juicy Fruit–colored passage, completed in 1976 as the architect’s final work, stands in stark contrast to images made from models of Casa Barragán, a home the architect designed in Mexico City in 1947. These images—highlighting views of an empty studio, skylit vestibule, and an austere library—focus on the interplay between the formal aspects of Barragán’s architecture, its vibrant color palette, and direct light. Another series of images highlighting Barragán’s Casa Gálvez from 1952 showcases a view of a pottery-populated, bubblegum-hued courtyard.